In the weeks to come, Istanbul will host a number of wonderful feasting, fun and lifestyle festivals, which will make you want to get out there and literally try something new. You know April has arrived when the Istanbul Tulip Festival takes hold for the entire month with magnificent floral decorations, workshops, competitions and a wide variety of activities for all ages held daily at Emirgan Park, the Göztepe 60. Yıl Park and Sultanahmet Square. The popular cooking show channel 24 Kitchen will be hosting their first-ever international food festival, “Dünya Lezzetler Festivalı,” which will take place at Feriye Palace in Ortaköy. Transpiring in a spectacular setting in an imperial Ottoman Palace along the Bosporus, this festival will have areas designated for different global culinary traditions, such as Italian, French, Asian, American and Turkish, giving visitors the chance to try foods from all over the world prepared by some of the city’s most prestigious restaurants. In addition, there will be a number of culinary television personalities and well-known chefs from Turkey and abroad giving talks and holding workshops throughout the day. The festival will then close with a DJ and live music performance leading into the night. Tickets for the event, which starts at 2 p.m., are available on Biletix and cost TL 200. Turkey’s first-ever international historical European martial arts event, aka HEMA, entitled “Hematolia,” will be taking place over the weekend of April 13-14 at the Istanbul Association of Historical Martial Arts (Istanbul Tarihi Savaş Sanatları Birliği) at Kadıköy Anadolu Lisesi in Moda from 10 a.m. to 5 p.m. There will be mixed gender tournaments held in five different categories on Saturday. The categories are Steel Longsword, Steel Rapier Dagger, Steel Saber, Steel Triathlon and Synthetic Mixed Weapons. The “Steel Triathlon” category will pit the top contenders in a sudden death competition and “Synthetic Mixed Weapons” is geared for the less experienced to have an opportunity to compete under HEMA rules. On Sunday, there will be workshops on fencing and saber techniques held by well-known experts in this specialized martial arts genre; George Zacharopoulos, Jirzy Miklaszewski, Miroslav Lesichkov, Tom Outwin and Ton Puey. Information on registering for the tournaments or workshops can be found at https://itssb.org/en/hematolia-2019/registration/. 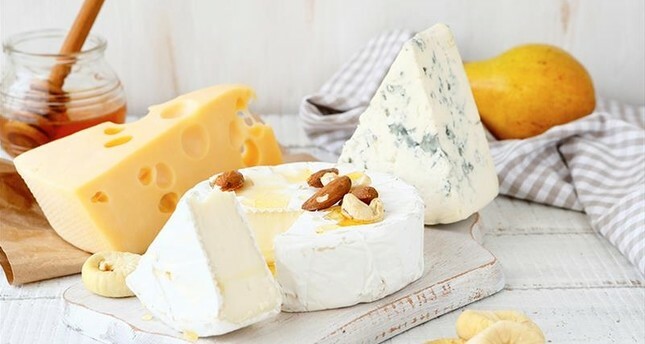 Istanbul’s first-ever festival devoted to cheese will be taking place at the Istanbul Congress Center in Harbiye from April 18 to April 21. The Istanbul Cheese Festival (Istanbul Peynir Festival in Turkish), will be a wonderful opportunity to discover Turkey’s vast wealth of regional cheeses from local producers. There will also be cheese making workshops, seminars, tastings and entertainment for the kids, such as a Hacivat-Karagöz puppet show. The seventh annual “101 Tastes of Istanbul” will be taking place on Sunday, April 28 at the Esma Sultan Yalısı in Ortaköy. Organized by the lifestyle media outlet Time Out, the 101 Tastes of Istanbul festival offers participants the chance to try the best of the city’s cuisine with countless stands set up by leading restaurants in a spectacular historical mansion overlooking the Bosporus. Taking place from 1 p.m. to 10:30 p.m., if you are an Istanbul resident or foodie, this is definitely a “be there or be square” type of event. The hippest restaurants will be represented, workshops, live music and an after party. Entrance is only for those aged 18 and over. Tickets are TL 250 and available on Biletix. The third annual Didim Vegfest will be taking place over four days from April 20 to April 23 for what is set to be the biggest festival ever to be held in Turkey devoted to the vegan lifestyle. Tens of thousands are expected to flock to this spectacular festival, which takes place at the 2,500-year-old Temple of Apollo in Didim and includes stands of vegan foods and products as well as seminars and workshops on veganism and a variety of holistic practices, with live music performances continuing into the night. Participants can stay in hotels in Didim or a number of forest campsites and there will be free transportation offered from the town center to the festival site. This year during the festival there will also be an attempt to break a Guinness World Record for having the most crowded breathing exercise, which will take place on April 22 at 7 p.m. at the historical Temple of Apollo. The fourth annual Interna International Tai Chi and Qigong Festival will take place from April 18 to April 21 at the Hegsagone Marine Hotel in Darıca, İzmit. Organized by Interna, Turkey’s Tai Chi and Qigong platform, this event is the first and only of its kind in Turkey and attendance does not require previous experience with the practices and offers the opportunity for participants to take lessons, participate in workshops, seminars and question and answer sessions, which will be taking place from morning to night throughout the four days. There will also be a number of traditional cultural practices taking place, such as Far East calligraphy classes and tea ceremonies.